Description: This wreath hangs on the wall at the entrance to the Lititz Spring Park. 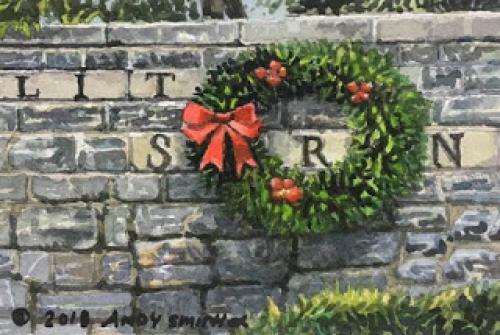 I did take artistic license and moved the wreath so it hung over the �Lititz � otherwise it would not fit in my small format painting. This is a �must have� if you love Lititz!